The Tennis Villas community in Dana Point is located directly across the street from the Monarch Beach Resort (formerly the St Regis Hotel) as pictured above. The condos offer luxury two and three bedroom condos with golf and ocean views. Adjacent to the community is the Tennis Villas tennis club which is a private club for tennis enthusiast. If you love living near luxury hotels and like being in a gated community then the Tennis Villas are a great choice for a personal residence or investment condo. I have personally sold in the Tennis Villas community and will be more than happy to show you the community and the current condos for sale. I truly believe these condos are a tremendous value when considering buying a condo in the South Orange County area. All the current available Tennis Villas condos for sale and for lease are listed below. Please contact me at 949-606-4114 with questions regarding any of these properties. The community has a nice association pool and spa area located in the middle of the community. This is a great place to enjoy the amenities that the Tennis Villas has to offer. Panoramic View of the Condos on the Front Row with View of the Tennis Club below. 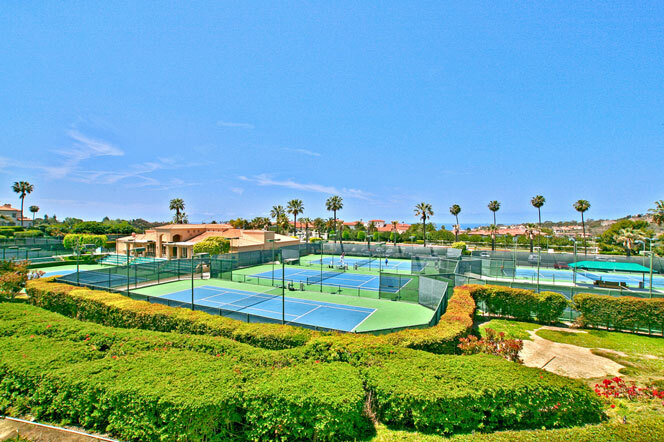 Below the Tennis Villas community you will find the Tennis Club at Monarch Beach. Many think that the Tennis Club is associated with the Tennis Villas due to the similarity in the names. This is not true and they are not associated in any way. The Tennis Club is a private club that charges a monthly fee for access to multiple Tennis courts, pool and fitness center. The monthly fee currently runs $87 a month with an annual fee of $100.00. They also have family plans which are currently $122 a month with the $100 annual fee. 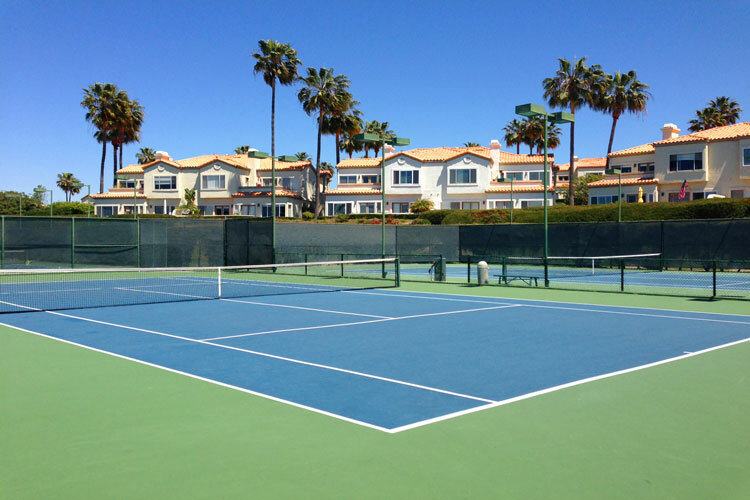 The Tennis Club is associated with the Laguna Niguel Racquet Club and dual memberships can be purchased as well. 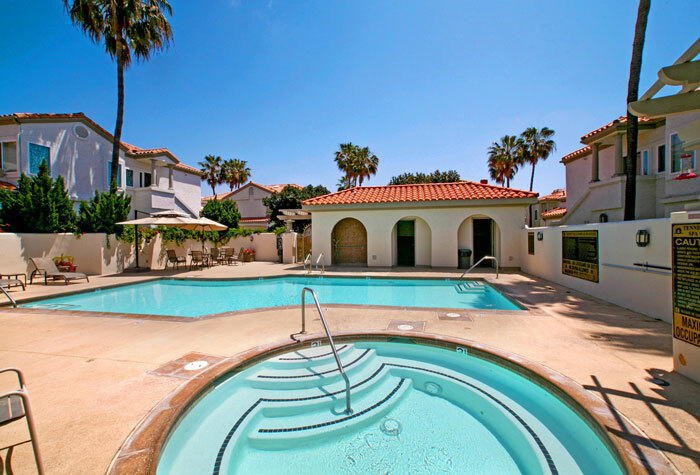 Below is a photo of the Tennis Courts & Pool with the Tennis Villas condos in the background.